Forcing a gun manufacturer into declaring bankruptcy might sound like an undeniable victory for gun control activists — particularly when that manufacturer is Remington, America’s oldest gun manufacturer, and when that announcement came just one day after the March for Our Lives March 24. But the announcement that the nearly $1 billion company filed for Chapter 11 bankruptcy comes with an asterisk — filing well-planned bankruptcy can often delay pending litigation in class-action lawsuits. In Remington’s case, the manufacturer of the Bushmaster AR-15-style rifle used in the 2012 Sandy Hook Elementary school shooting, this could mean pending litigation headed to the Connecticut judiciary will be delayed until the company emerges from the bankruptcy process. The litigation in question was headed to the Connecticut Supreme Court in November 2017 after lower courts rejected the gun manufacturer’s request to dismiss the case. Remington holds it cannot be found guilty in the wrongful death case under the Protection of Lawful Commerce in Arms Act passed in 2005, which protects weapons manufacturers from liability for crimes committed with their products. But the PLCAA doesn’t protect manufacturers from defective product claims, criminal misconduct or negligent entrustment of a weapon in the hands of someone who could pose a threat. Chapter 11 bankruptcy is a specific kind of debt restructuring permitted in the U.S. bankruptcy code. Because it requires corporate restructuring, impending litigation can be delayed if the defendant files for Chapter 11 — a well-known procedure first popularized by the once-largest manufacturer of asbestos in the world, the Johns-Manville Corporation. Facing numerous injury suits from individuals who suffered from asbestos poisoning, Johns-Manville soon became Manville, a corporation still in the roofing and insulation business. The move won’t stop Remington from continuing to produce guns, nor will the move alone impact profit margins. Colt, a firearms company that supplies the U.S. military with the M4 rifle and that invented the AR-15 rifle, filed bankruptcy in 2015 and emerged in 2016 seemingly unscathed — valued at more than $250 million in 2016. Widespread marches and demonstrations, as well as pressure on lawmakers to reject gun lobbyist contributions and pass more comprehensive gun control legislation, have made a real impact on sales for these companies. Remington reported nearly $1 billion in debt — an amount equal to its net worth — by late 2017. 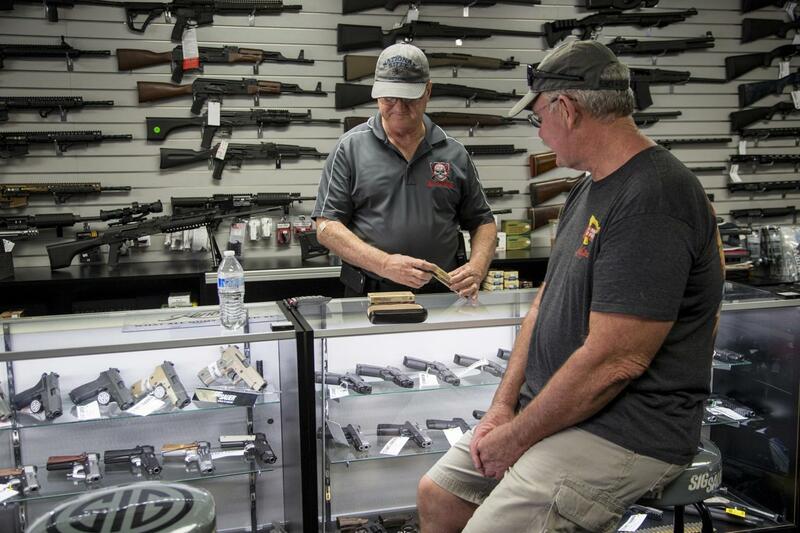 And while the company is not publicly traded, its publicly traded rival, Sturm, Ruger & Company, fell nearly 3 percent after Remington announced its bankruptcy — down almost 15 percent for the fiscal year. Activism has thus far driven change in the gun industry, but the battle between the public and its firearms manufacturers is only just beginning. Remington’s move displays real financial struggle on its part, but also signifies a tactical decision — the lawsuits pending as a result of the Sandy Hook Elementary shooting pose a threat to the company’s continued success, and evading lawsuits like them may be the industry’s only chance at staying afloat.